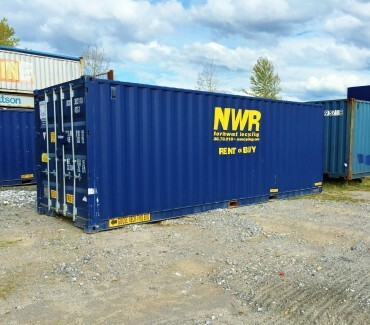 24' Storage Container - Northwest Recycling, Inc.
Northwest Recycling’s 24′ storage container is designed to meet the needs of general and subcontracting companies. These units have been custom-built for storing pipe. Full lengths of EMT pipe, PVC pipe and other tubing and piping can be laid flat in the container while still leaving space for other materials. If a 40′ container is too big for your job site, the 24′ is a great alternative for your on site building materials. 24′ storage containers have two swinging doors on one end of the container.